So you’re shopping for an innerspring mattress but don’t know the difference? 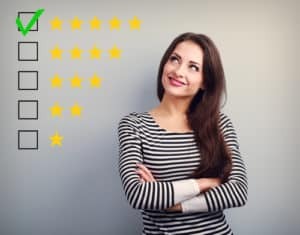 This article is all about the different types of innerspring mattresses on the market. 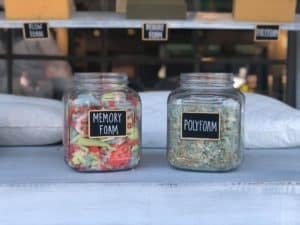 The goal of this article is not to tell you which is better, rather it is so that you know the type of innerspring mattress you are purchasing. 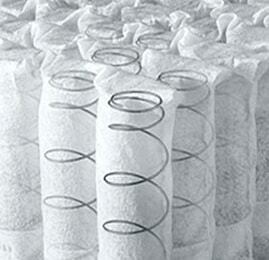 Bonnell coils are among the oldest as well as most common coils found in innerspring mattresses. It was first adapted during the horse and carriage days of the 19th century to provide support in the seat cushion. 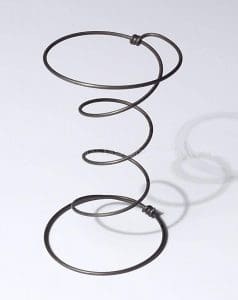 Bonnell coils are hourglass shaped and knotted at the end. 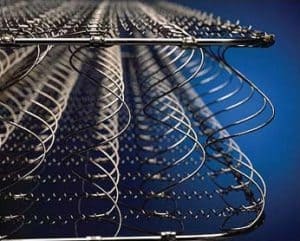 This type of coil is typically found in less expensive mattresses and are the simplest to produce. This type of innerspring is configured where the rows of coils are connected with one piece of metal. 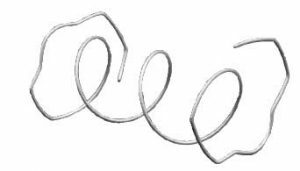 The piece of wire continues throughout the mattress usually from head to toe, hence the name continuous. This type of coil is more likely to be on the firmer side of the spectrum. Like the Bonnell coil, you will typically see this coil in a lower cost mattress due to the low cost to manufacture this type of innerspring. Most commonly know as the pocketed coil, was created in 1900 by James Marshall who thought a mattress should have internal independent springs to provide both support and comfort. A Pocketed coil system consists of individual coils wrapped in a fabric encasing. To keep them from moving out of line the fabric is either glued or sewn together whereas all other coils are held together with spirals of wire called helicals. One of the benefits of this is that the pocketed coil does not transfer movement to your partner. Also, the Pocketed coil contours to the shape of you body better than the other types of innerspring. You will typically see a Pocketed coil mattress in the medium to higher priced models. Similar to the Bonnell coil, the Offset coil is also of the hourglass shape. The shape of the coil at the top and bottom has flat sides (looks like a square) rather than being completely rounded. The Offset coils provide better support and contours to the body better than both the Bonnell and Continuous coil. It can also be made firmer than the Pocketed coil since the coils are held together by helical wire. You will typically see the Offset coil in the medium to higher priced mattresses. 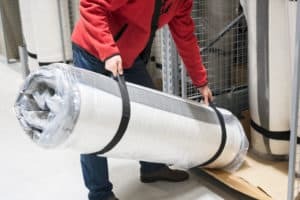 So now that you know the difference between the types of coils used in an innerspring mattress you can decide what is most important to you. Of course this isn’t all you need to know about innerspring mattresses. To find out what coil count means and what’s the difference between the gauges of wire used in the coils read our article here.